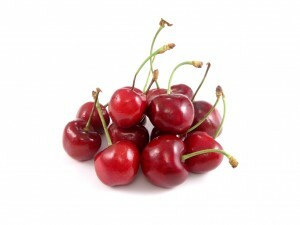 The beautiful, refreshing, delicious and above all beneficial for our body, cherries are rich in nutritional elements. They are rich in metal salts, fiber, Vitamin A, B and C, calcium, phosphorus, iron, magnesium and copper. The cherries have strong antioxidant and laxative action while at the same anthocyanin, which gives them their red color, has inflammatory properties. Cherries are part of the Mediterranean diet and apart from being refreshing and delicious they should be our number one choice for stimulating our metabolism and assist us to get rid of the excessive weight! Learn more about their supernatural properties and the gain will be yours; or even better, the weight loss will be yours! For the history it should be noted that Cherries, the red and juicy fruits, according to the ancient Greeks, originated from a small town of Asia Minor called Kerasounta, thus their name in Greek, Kerasi. Cherries became known to the Roman General Loukoulos who liked them and took them to Rome and from there to the whole of Europe. Cherry seeds are used for the aroma of brandy while the black bitter cherries are used to produce Kirsch and Cherry Brandy. Following the Greek saying – nothing in exaggeration – Even though Cherries do not have many calories they should be consumed in moderation and they are the ideal solution for a noon or afternoon snack. Cherries are ideal when we follow a weight loss diet or plan; due to their, on one hand low calories content and on the other hand their high fiber content. In addition their sugar content satisfies our sugary senses while at the same time they do not overload us with excess calories. (1 cherry has 4 calories). By adding some cherries in our yogurt snack or by having a ball of cherries for our afternoon snack, we help our body to increase the metabolism and at the same time stop the deposit of fat. Cherries reduce the blood cholesterol taking care of the health of the blood circulation due to their content in antioxidants and phytosterols. Like most fruits, cherries are rich in fiber. This means that they fight constipation and assist the digestive and gastrointestinal system to function more effectively while at the same time they relief us from the stomach swellings. Cherries are the ideal diet, in between meals, snack since they will satisfy your gravy for something sweet while at the same time they make us feel full due to their fiber content. Finally it is the ideal fruit for all those who suffer from rheumatism, arthritis, cystitis and have kidney stones. When you buy cherries check and make sure that they have their stalks that should be green and not brown and dry. In addition, they should have green and fresh leafs. Cherries should have a bright shiny red color, should be firm and should not have any skin cracks or deformations. The cherries with the darkest color are more mature and sweeter than others while at the same time they are the most prone to go bad and for this reason they should be consumed fast; buy the amount you need for the day and always buy fresh. They are preserved for a few says longer if refrigerated due to the low temperature and humidity of the refrigerator. If refrigerated, take them out of the refrigerator some time before consumption so that they would regain their taste and aroma. As you have already read, Cherry is the fruit not only suitable for those who are on the Mediterranean diet but also for any health oriented individual and among others help us to lose weight.